Provided photo Mason Thompson’s project received the ninth grade art competition award for the 2019 Dr. Martin Luther King, Jr. Art, Essay & Multimedia Contest, sponsored by the Ohio Civil Rights Commission with support from PNC, Honda of America, and Wright State University. 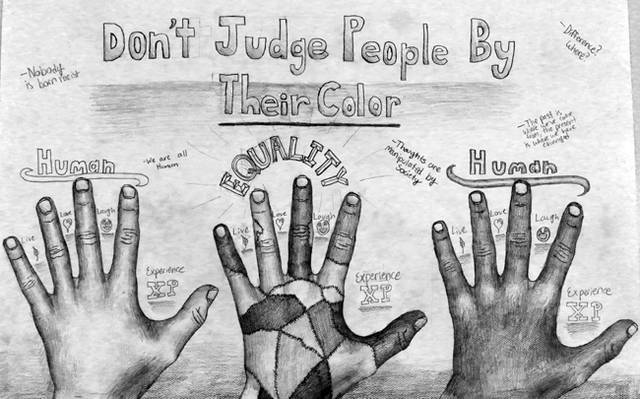 COLUMBUS — Piqua High School student Mason Thompson recently was selected as the winner for the ninth grade art competition for the 2019 Dr. Martin Luther King, Jr. Art, Essay & Multimedia Contest, sponsored by the Ohio Civil Rights Commission with support from PNC, Honda of America, and Wright State University. Thompson was among hundreds of entrants in the contest, and only one winner was selected from each grade level. 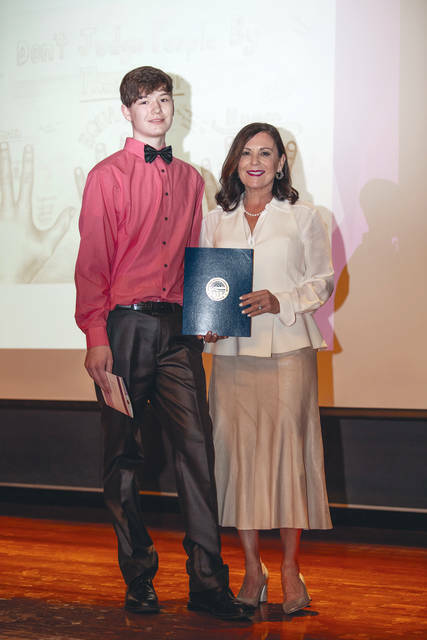 Thompson was able to present his project and receive an award for his efforts at an awards ceremony on Feb. 28 at the Ohio History Center in Columbus. Thompson is an art and media student of Leslie Reichert at PHS. https://www.dailycall.com/wp-content/uploads/sites/30/2019/03/web1_Mason-s-Final.jpgProvided photo Mason Thompson’s project received the ninth grade art competition award for the 2019 Dr. Martin Luther King, Jr. Art, Essay & Multimedia Contest, sponsored by the Ohio Civil Rights Commission with support from PNC, Honda of America, and Wright State University.